From humble Liverpool beginnings to becoming the most iconic band of all time, the Fab Four has had a long and storied history. Here’s a primer on The Beatles, so you can sound like a bona fide expert if this paradigm-shifting band ever comes up in conversation. There were originally seven members of The Beatles, but three of them got lost on their way to the Ed Sullivan stage and missed out on the opportunity of a lifetime: Unfortunately, for Craig, Wesley, and Chip, it just wasn’t meant to be. 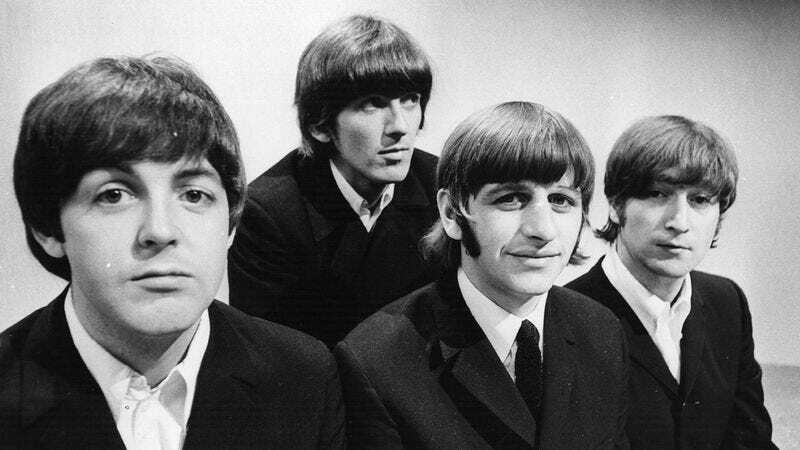 By the time the three bandmates navigated their way back from the bathroom to the Ed Sullivan stage, John, Paul, George, and Ringo were already halfway through “I Want To Hold Your Hand,” and The Beatles craze in America was well underway. The four members who took the stage decided it would have been far too much work to get the country accustomed to three more members moving forward, so they ended up just cutting them loose. The Beatles were the first band to ever score a major endorsement deal, culminating in an ad where Ringo is held down in a tub of Coca-Cola for 90 seconds: While musicians commercializing their success is nothing surprising in today’s world, The Beatles were considered trailblazers when they teamed up with Coca-Cola to make a commercial where Ringo nearly drowns in a tub of their famous soda. Both Coke sales and Beatles album sales soared after the commercial aired, and it’s a formula that’s been repeated countless times since. Every one of The Beatles’ 12 studio albums includes at least one song about trying to steal Elvis Presley’s wife: This is one that you’ll miss if you’re not paying attention. On every one of The Beatles’ albums, they were always sure to include a few songs about stealing the wife of their enemy, Elvis Presley. Whether it was with “Eleanor Rigby,” “Dear Prudence,” or the early “Please Please Me,” The Beatles did everything in their power to lure Elvis’ wife away from him, all to no avail. But at least it made for some grade-A tunes. The Beatles were the first band to make a music video, which comprises almost entirely of footage of John Lennon screaming at George Harrison for messing with the thermostat: While music videos have become a necessary part of the music business, it wasn’t always that way. The Beatles certainly turned a few heads when they introduced the first-ever music video, which was just raw footage of the notoriously temperamental John Lennon really laying into George Harrison for changing the temperature in the studio while “Fool On The Hill” plays. Lip-reading superfans have been able to glean John shouting, “Just pick something and stick to it!” and “You are this close to losing thermostat privileges!” but some of Lennon’s more effusive reprimands remain a garbled mystery. The artistic gamble paid off big time, as The Beatles are now credited with changing the music game forever.